I have been sick with a stomach bug the past few days, so sorry I haven't posted a new review! Good news is, I am almost done with 3 books to share with y'all. Yes, I am still way behind on my Goodreads goal for the year, but I'm hoping that I can catch up on some of it when I go on vacation in a few weeks to see my daughter at college. I'm pretty sure we can listen to an audiobook each way, and then my daughter just wants to chill in our hotel room and sleep...so that sounds like some prime reading time! Here are a few new releases that caught my eye. 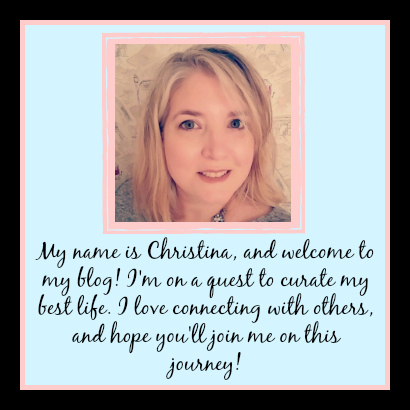 Let me know if any of these are on your to-read list! 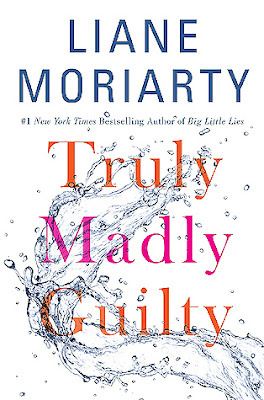 I have enjoyed every Liane Moriarty book I've read...so I can't wait to pick up Truly Madly Guilty, her new book that came out TODAY. I think this is going to be another good one. "Six responsible adults. Three cute kids. One small dog. It's just a normal weekend. What could possibly go wrong." This book is about a group of friends, and the BBQ invite that changes their lives. I think this would be a great Book Club selection, as all of her previous books that I read for my were filled with great discussion topics, both humorous and serious. This is a must read for me. Okay, I don't think I could leave this off my list. I am a fan of the original Harry Potter series, and I have a personal attachment to them because of my kiddos. Harry Potter and the Cursed Child comes out July 31st. 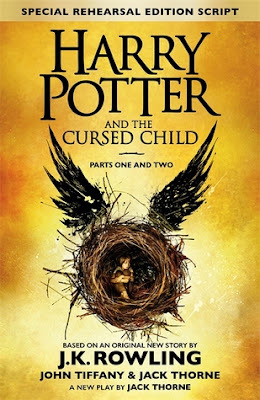 I worry that this is going to disappoint folks who are just so excited for a "new" Harry Potter book. People get so heated when it comes to the Potterverse. It's a script for the play coming out on the West End, and is not entirely written by J.K. Rowling from my understanding. BUT, I will read it with an open mind. This book is adult Harry, dealing with life as an overworked Dad...and his son living up to the family legacy. I'm thinking that everyone who was a fan of the original should at least check this out from the library to see what Harry Potter and co are up to now. 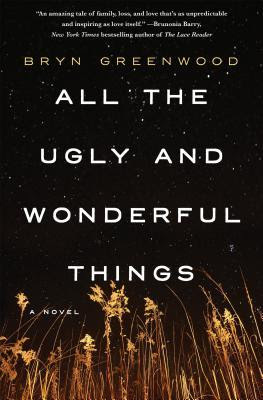 All the Ugly and Wonderful Things, a debut novel by Bryn Greenwood, comes out August 9th and has some very good advanced reviews, although it sounds like it might be a disturbing story. Wavy, the 8 year old daughter of a meth dealer, is struggling to raise her little brother. Everything changes when she witnesses Kellen wreck his motorcycle, and an unlikely love story ensues. From what I've read, this book spans at least 15 years...and is disturbing on a lot of fronts, but is very well written and fodder for some serious discussion. I am in no way condoning a relationship between a child and an adult, but I did grow up on V.C. Andrews. I am open to controversial topics in books, as long as they are well written and aren't exploitative. I'd rather make my mind up for myself than condemn a book without having opened it, and from what I've read this is extremely well written. 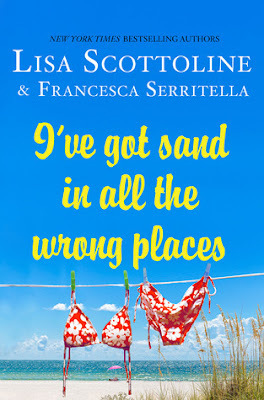 Lisa Scottoline and her daughter Francesca Serritella have another book out, which is currently sitting on my nightstand. If you've never read one of their books, they are basically just memoir-ish stories about their lives in alternating chapters. I believe the two of them have a regular weekly column in the Philadelphia Inquirer called "Chick Wit", and some stories have made an appearance in both. You can read these out of order, but might run across "characters" that have previously made appearances...so back story might be lacking. But these light and humorous books between mother and daughter give me hope in the relationship I will have with my kids now that they are adults! I would love to write a book with my girl. 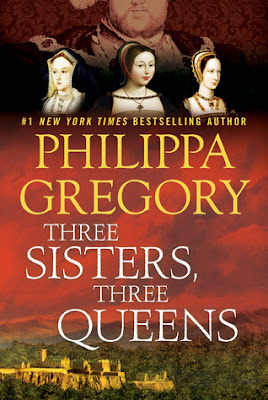 The new Philippa Gregory Tudor Court book Three Sisters, Three Queens comes out August 9th. I am a fan of her historical fiction books, so I'm sure this will be another good one. It's about Katharine, Margaret and Mary...three sisters who will eventually be the Queens of England, Scotland and France. I am sure it will be filled with the back stabbing and deception one would expect. Her books always make me want to delve into other historical fiction and nonfiction books from the same time period, and do internet research on the subjects. I'm usually left wanting to know more! Do you have any new release books you're excited to read? How do you feel about books on controversial subjects? Are any of these books on your list? Let me know in the comments, or over on my Facebook page.